AKA Now That’s What I Call An Amazing Workplace! With the word “love” in the title of the blog it’s probably going to cause anti tree-huggers to cringe and feel a little but sick. Well it’s not written with you in mind so click away and be miserable. In the past month I’ve had the utter pleasure of being in three VERY different cities. Miami; Budapest and York. The themes: freedom at work; working and playing hard and creating an amazing workplace. They’re ALL about LOVE to me. Loving what you do. By way of a job, work, career, vocation, volunteering whatever. Loving what you do. Now I know a lot of people who are fortunate enough to say they love what they do. Some of them have a role in an organisation which we still refer to as a job. Some are at a senior manager/leader level, some brand new to the world of work, some reinventing themselves in new jobs or some in the same one for a long time. Some others are freelancers, consultants or whatever you’d like to call them – independents. Sadly not everyone I come across can say the same. There are also some people who choose to have a go at others who profess some form of love for their chosenwork in life. Some people who call this out as naive land-of-the-fairies type stuff. They knowingly chastise based on their melancholy view of the world. They have been in some tough situations and come out fighting and so it’s not love that sees you through it’s strength. 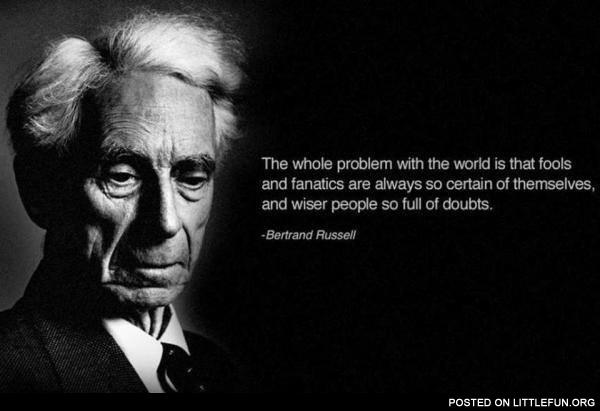 Those intellectual types who love their own wisdom so much they use it like a caustic acid – their comments burn. This tweet summed it up for me. 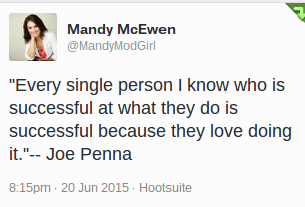 So I am saying that you will are not a success UNLESS you love what you do. Good at what you do and well paid and revered by your peers isn’t good enough by this definition; unless you feel and use the word love, you aren’t part of an amazing workplace, don’t have freedom at work and don’t play hard and work hard. Unless you LOVE what you do you are not a success. That’s my view and I’m not budging from it. When we have that love of what we do in all our people, we’ll have created the most amazing workplace imaginable. It’s a bit of a tall order to look into the future and confidently predict what the next dimension for social media is. As the Social Media & Engagement Adviser to the CIPD and a known commentator on the future I ought to be able to though right? Of course I can. Well I can give you my best interpretation on this. But let me first ask you what do you want to know? what tools and technology we will be using? where will be using them and what part of our anatomy will they be attached to? will it be some hybrid FaceChatGramTweetr+ thing? security controlled or more underground than before? We jump on social platforms, connect to people and before we know it BAM! We have 1,000 of followers and following. There’s noise. There’s abundance. There’s relentlessness. We’re now starting to be aware of what Clay Shirky calls “not an information overload problem, but a problem of filtering”. We will run two channels in the social media of the near future. Outward, loud platforms like Twitter and Instagram. But in them we’ll create more communities. We’ll bring more people to oases of information in a sandstorm of stuff. We will make choices about who we really want to connect to in a deeper more togetherness sense. We will form clans within the tribes. Teams within the crowds. We will converge on those who inspire, illuminate and ignite in us. We will curate with and for them. I’m doing this myself. A 98 strong community of practitioners called the iPractice. A gathering of like-minded but differently opinionated souls. We’re a working force but not a workforce. So it will be in the social media work-based utilisation of the future. People may be employed or not by a company but within we will find those cross-divisional representatives and we will organise around and with each other. We will converge to think, learn and do. Expect the winning social media tools to be the ones who take the noise level from over-loud concert to parlour room concerto. From Glastonbury and the O2 to the Nags Head and Rock City. Either part of the giants of now like Google and Facebook or startups on the fringes of these. Want to be in the future? Get community minded. With staff, leaders, partners, suppliers, academics, apprentices, social activists, researchers, reporters. Alliances not acquisitions will be the cultural make-up of a future of work more communal than corporate. Innovation has been the buzz word for ages. Without it being really valued or leveraged or unleashed iMHO. It’s now time to see the act of innovation become the more crowd-sourced entity in work that we see in entrepreneurialism and social change through Kickstarter and Indiegogo. We hear and experience loads of micro improvements that would have made the Kaizen Chiefs of Toyota scream with delight. Tiny things that can make a difference to efficiency and most importantly effectiveness yet they’re not always captured, aggregated or utilised. Until social platforms, voting and hackathons made them an accessible and deployable thing inside organisations. I am currently in the thick of a retailer hackathon internally reshaping communications by the people for the people. it’s exciting, illuminating and likely to stick. Influence – by this I mean decisions and ability to decide and act – is moving along the food-chain in organisations from a power-holding few to the real people in the front lines of service, build and maintain. Social media is far from trivial in this manner as it has huge potential and massive scale and accessibility. We do need to address the digitally detached and make sure they can be brought in and also bridge to the real world of people conversations and actions to make sure they are turned into actionable interventions and new lines that keep an organisation sharp. So this is the in-crowd is the new way to redefine coolness at work. The coolness of active participation in shaping what matters. BYOD? Not Bring your own Device. Bring your own DESIGN. A design for work. A design for life. Wellness – we’ve got a phenomenon on our hands of self-designed ailments which are not even some super strain of bacteria used in chemical warfare like anthrax. Instead we have high-stress or low-fulfillment lives equalling coronary disease, low levels of physical fitness and issues of the mind. We have removed many bacterial strains of illness but our next frontier is the removal of those we’ve created. If this is the case, then we start with a whole person, educated, empowered and enabled to look after themselves. Be it diet advice, fitness routines or understanding of emotions. This is already a key deciding factor in many people’s choices of who they join to work wit – will they look after me and help me look after me? Much of this though will come through that community element I described earlier. We will use technology to gee each other up on the fitness plans; share cooking tips and diet support. We will become a wellness wirearchy. We need to take this WAY more seriously than now. Sciences are helping us with the bigger diseases but our sad stressed out working regimes are counteracting these advances. Let’s use social tools to help each other be well, in all dimensions. Aggregations are the future. Not acquistion. Coming together doesn’t have to mean solely owned. The future isn’t ownership it’s shared/rented/responsive – or so many believe. Ownership hasn’t really bred anything other than capitalist greed and whilst allowing for choice, the disparity and the 1% is increasingly bizarre to see in a world where we’re supposed to be fairer through the acquisition of increased IQ. Maybe not enough EQ though? Anyway, where this will be disrupted is in the growing sense of making, artistic craft and a return to bespoke alongside corporate conglomeration (initially) and potentially replacing the formal locked-in structures for aggregated partnerships. Love em or loathe em for tax policies and employee tracking, Amazon’s Market Place? A masterstroke. Let’s also take Elon Musk at Tesla as a disruptive force. He has created high-end elegant and functional electric cars. He has made all his engineering available online as open-source “code”. His view? Electric cars won’t disrupt the conventional fossil fuel manufacturers unless there’s critical mass. So he wants people to copy his work. He wants to aggregate a force for change not through acquisition but through mass,convergence, coming together. He’s an artisan at present but with scaleable ambitions. Artistic skills and the ability to create, imagine, construct are a more valuable commodity than we realise. Just look at how quickly Julie Deane and the Cambridge Satchel Company took off? Handmade in Britain. An entrepreneurial success story and blueprint for the future. Even in my own home county of Northamptonshire, handmade shoes are the vogue and even Doctor Martens have returned some manufacturing from overseas. Work: like a 2nd home, wherever that may be. Today I’m part of a small conversational aspect to a massive show at the ExCel – the Facilities Management Show. It’s for people who design, build, fit, run, smarten and protect our working spaces. There’s clearly a lot of the people in this profession to pack most of the ExCel out. There’s clearly a lot of working spaces to create and look after. We are mostly fortunate enough to have a home. Shared or otherwise, a place we can feel safe, rest our heads and share with our nearest and dearest. Many of us also have a thing we call work where we often come together with other people in pursuit of some shared aspiration; to produce something; support other people etc. In this report are no real revelations. There are though lots of reminders. And a great idea to bring continuing collaboration and ideas to this space we call work. Wherever that may be. I make no secret of my love of what I do for a living. It IS me. There’s no line between work and life for me just one big circle with everything inside it. This report and my pleasure at having spent time with the people behind this super piece of work is a call to arms for ALL OF US. Don’t just sit back passively and accept rubbish workplaces; don’t sit on your hands when the chance comes to redesign your workplace; don’t ignore the chance to be part of something that shapes a more humane place to work. Be active. I’m going to dedicate some of my time, effort, thought, resource, people, connections, ideas and whatever else I can to identify the brilliant things SOME people do in creating and designing a truly warm, 2nd home type place of work. This isn’t the realms of unicorns and fairies. There’s no reason why we have to put up with Satanic Mills in 2015. The spot welder in his lock-up; the office worker in their tower block; or the nurses in their care home NEED and deserve a place they feel as comfortable in, secure in, and enabled by to call a workplace. “It feels like a 2nd home”. Wow – isn’t that amazing? Isn’t that possible for all if not most of us. Now with the advent of freelancers, remote working and the like our home can become our place of work also. I fundamentally believe though that we crave and thrive human contact and want to be part of something – even if occasionally. That’s why as an independent practitioner, I like being onsite with clients; the feel, the flow the company. But all the time, same place would drive me mad. So I like home, I like being a cuckoo in someone else’s nest for a while (or a guest at a party), I like co-working spaces; I like coffee shops and hotel lounges. This place we call work needs as much attention as all the other factors at play like digital technologies; human spirit and psychology and experiences of life. Someone said to me today, they’d rather stand one mile away from the rain and watch it fall on the horizon than the gain of materialist products. I’d rather hear about workplaces EVERYWHERE that are warmly referred to as 2nd homes. I’d love to help make that happen and I hope you now do too. 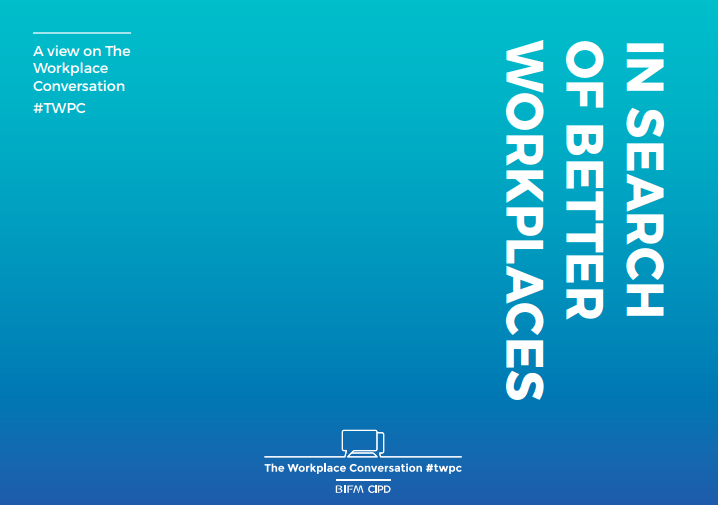 Well done to BIFM and CIPD for the guts to take a conversational, not academic or consultant-led research approach to this area. I hope we see many 2nd home quotes popping up online as a result of this. I’m off to a couple of 2nd homes now. Have fun everyone! There’s something in the air. We’re drinking the Kool Aid. Movements ahoy! And so the story goes about the way we’re working isn’t working. > About the skills and productivity gaps staring us in the face. > About the complicit evil cultures that make us act in a less-than-human ways at work. > About the toxic nature of leadership and people doing wrong to others, the world and ultimately themselves. We see Blogs. Research. Articles. Features. We read books. Listen to speeches and follow thought leadership. But honestly, what are YOU doing? Yes I’m talking to YOU. The reader of this and those who won’t even bother to read it. Are you SO wrapped up in your world that you’re doing “what matters”? It’s up to other people to take on the fight? Are you so in the know that you don’t need any of this tripe? So you get on and be the supremo professional you think you already are. Are you denying there’s even a problem? It’s OK and it was always meant to be this mediocre. Or do you care enough to write your own book? Put people in touch with other people who can help turn this ship around? Do you create affiliations with people who care like you and link arms with like-minded / bothered souls? Do you work in your organisation / with clients in a way that moves things to the better place chapter of the story? Do turn up or do you tune in and cop out? DO. Not just the usual transact kind of do. Or the I know it all anyway kind of do. Or the anything for the money kind of do. DO = the stuff that makes it ALL a lot better. We’ve all got some superhero type powers yet we’re mostly Peter Parker than Spider-Man. Florence Nightingale or Alan Turing or Dr King were more full-time hero than just here now and then. We can’t all be like them though can we? Not if don’t do anything about it, no. Where work is concerned, we’re often just dabbling in the doing. Instead of doing and then dabbling in the conventional space to earn a crust. > Don’t just blog. DO. > Don’t just consult. DO. > Don’t just administer. DO. > Don’t just ideate. DO. > Don’t just design. DO. > Don’t just train. DO. > Don’t turn up at a conference in the usual manner and fill your bag with stress balls and pens. DO. > Don’t just talk around, at, for, under, over, argue with or against. DO. DO. Doing is the ONLY thing that matters. All the things that you think, write, chat, speak, dream of, hate are nothing if you don’t DO. It’s the Dawn of the Doer – so what exactly ARE you going to DO? A sunny day in Budapest, May 28th greeted the 2015 finalists for the MOL Group Freshhh2015 Competition. http://freshhh.net/aboutfreshhh for more details. Also jump on the Facebook page here https://www.facebook.com/molfreshhh and #freshhh hashtag on Instagram and Twitter. Play Hard; Work Hard was the subtext to the entire competition. To set the scene: 5 teams: already standout performers from the online gamified learning stages with over 6000 participants from 70 countries involved. The highest scoring teams now huddled in intense conversations with their mentors as they prepared for the final 2 stages. The live pitch to the jury of senior officials from MOL Group beckoned. Followed by the real­world simulation/scenario where teams will be pitched against each other to form alliances and deliver a business proposition likely to succeed on economic and human levels. It’s rare to say this about the business world but this is going to be SOME spectator sport. A team of bloggers from Serbia, Italy, Pakistan, Slovakia, Russia and the UK were assembled and the Facebook status updates, tweets, Instagram posts started hitting all corners of the world. This was going to be interesting to even watch from afar! Rather than a running this as a commentary­like “team x team” blog,there were some really standout elements to this competition I spotted that may be worth sharing with you before we go on to why the winning team was triumphant. Togetherness ­ There were some clear examples where the teams had made the best of their skills, energy, study programmes and any experiences they had that were relevant. Only ONE team introduced themselves with a slide and a brief intro to each of them that brought them to life. They showed a more evident togetherness. I don’t know how much this influenced the judges but it stood out in my mind ­ immensely. Informed ­ market analysis is one thing, but a wider research perspective can create a nice surprise and have people “lean­in” to your proposal. I saw some examples of this ­ with recommended territory / country based expansion plans; a commercial/retail partnership and a focus on particular renewables. ALL groups were really well researched. They all had a surprise in store with their research­based recommendations some more bold and towards the edge than others. Showing you’ve researched comes not only from GDP graphs but also the market and why a partner/venture should work. Crisp ­ presenting and performing in a scenario are very different disciplines. Presenting comes from a clear scripted approach with visual prompts on slides to talk to; with a rehearsed format with each other taking the lead and others bringing a different slant. Then jumping into a scenario where it’s about heat of the moment, pacy decisions, swift movement, rapid but deep analysis, collaborating and negotiating “on the fly”. Whatever situation the teams found themselves in some were just plain crisp. Not too slick or polished, but sharp. On the money. On point. The best way to get your message across and show your performance level is for people to be left in no doubts you’re competentnce, clear, concise, decisive, calculated, confident. Crisp. Freshhh even! Keen ­ there’s enthusiastic, energised but also there’s a keenness in the eyes, in the manner of conduct and style of delivery. In the scenarios in the afternoon there was a keenness demonstrated in many ways: to get on with it; to trade; to work together; to not rule anything out. There was also a keenness in some presentations coupled with (understandable) nerves. Where nerves are going to get the better of people they are overcome with a keenness. Or so it seemed to me with the best presenters. Togetherness; Informed; Crisp & Keen ­ spells TICK. And all the participants and the event as a whole really did tick. And it was “Just Ask Siri” from the Czech Republic and Slovakia that triumphed both in the audience vote and with the jury of MOL Group Senior Executives. > What would happen to oil & gas structure and why? What is the impact of renewable energy and electric cars? > What would be the global O&G industry’s reaction to a sustained low oil and gas price? > Would there be any difference among different companies? > How should MOL Group react to this scenario and change its strategy? > How should this impact the workforce strategy for MOL Group? All were informed. All were keen. Some were more crisp and more together. Just Ask Siri kicked off in a powerful manner with their introductions of the 3 people on the team. A first in the focused and overt way they did so. Key point: connect to your audience and become a person in their minds with skills, attributes and a story. There was little to choose between the economic proposals of ANY of the teams. They all knew the impacts of the low prices and the challenge posed by renewable energy and electric cars. Just Ask Siri stood out for me as having the most commercially recognisable proposition for roadside outlet partnerships and electric car charging points. Key point: believable and visual futures move people emotionally AND intellectually. Emotion tends to trump logic in decision-making. ALL the teams very vividly talked about the skills and attributes needed for a successful workforce to drive MOL Group through this challenging period. All recognised the ageing workforce demographic and the need for fresh talent. Just Ask Siri particularly zoned in on coaching and mentoring as a key interface and the need to have a range of pathways for people to develop their careers in an emergent and yet planned manner. Key point: showing flexibility in approach without being vague or overly­cliched helped this feel like a strategy the workforce would be drawn to and participate actively in. And then a strategy simulation game where Just Ask Siri, hot out of the traps, engaged in energetic conversations and key honed in onin their choice of partner (the Oil’s Creed team from Hungary), helpinged them become clear winners on profit and points based on demonstrated skills in teamwork; negotiation; business planning; strategic management; and profit making skills. It really was a case of high performing teams with minor differences. The teams from Russia, Slovenia, Croatia and Hungary were all supremely agile, intelligent and collaborative forces. Indeed I spoke with Gabor ­ ambassador for 2015 ­ and he is now working with MOL Group in procurement yet never won the challenge despite consecutive years of participation. All winners? Of course. One victorious team? Just Ask Siri were standouts amongst some seriously high­calibre competitors which should make the victory all the sweeter. The overall victor here has to be the spirit and application of people in a challenging circumstance. Congratulations to the participants, ambassadors, mentors and the organisers of what ­ I think ­ is the most vibrant and useful student event I’ve ever experienced. MOL Group demonstrating that play hard; work hard really is the winning motto. #Freshhh2015 was an outstanding success and I was delighted to have experienced it. Richard Westney with a great teaser review of this marvellous book. Had to be a re-blog. Discovery. Don’t give up on that – ever. We’re here and doing such insignificant things as blogging, sweating 9-box (*@”*”*!!) grids and the like because of discovery. We are – apparently – hard wired to discover. It’s what’s taken us through various stages of societal and economic advancement from going to war with each other with clubs and swords to going to battle with each other with spreadsheets and 12-point strategic plans. What is still paramount – but in my opinion lacking – is discovery. We’re still doing so – of course. Only yesterday I saw that Virgina Tech University School of Medicine has discovered a connection between the brain and the immune system previously thought to be non-existent which may make for a breakthrough in immuno-diseases like Alzheimer’s and Multiple Sclerosis. I’m not talking that discovery nor am I talking (necessarily) about an existential discovery of self. Although that has a range of amazing outcomes, possibilities and the like. I’m talking about constantly being curious, discovering through experimentation and using others discovery not just to know but to influence your doing. So you discover and whatever the outcome in terms of success, you gain – surely? Let’s take a real life example. Zappos. A shoe retailer based in Las Vegas, Nevada who are wholly owned by Amazon and run by Tony Hsieh as CEO. Someone who invested huge capital in the company. A company who has a growth curve many would die for. Who are famed for alternative thinking. Who are a WorldBlu accredited Freedom-centred workplace. Who are introducing holacracy because they want to discover a way to work without the manager calcification that afflicts many companies in 21st century work. And already – before they’ve really got going on this – people are calling it out, criticising it, knocking it, lauding it whatever. Folks, they’re DISCOVERING. FFS let them get on with it. They may find the key that unlocks Brian Robertson’s Holacracy and make it work amazingly well. This may flop and cost them dearly and go from boom to bust. What do you know about it anyway? Who are you to call it out? You may have had 10 years holacratic experience before it was called that and therefore have acquired wisdom. Well you do. BUT YOU DON’T WORK AT ZAPPOS. So you don’t know do you? Unless you’re in there now, working with it and seeing what it does you’ve little – if anything – to add. Wait. Let them experiment and discover. When it succeeds/fails you can knowingly say “I knew it would” and we’ll all be grateful you shared that post-mortem/implementation analysis. Not. If you have something constructive, warnings of things to avoid, by all means share them but don’t be surprised if they say “well thanks but we’re discovering so we’ll see”. I’m not talking about complicit acts, or knowingly destroying something in the name of discovery. Of course there’s a rationale, a reason, a rejection held there. In Zappos case, we’re talking about a shoe retailer. Not humanitarian aid. Or medical care. Or psychiatric support. Shoes. Please though, don’t destroy discovery. Holding the space, your nerve and an ideology is hard enough without someone tearing that playhouse down. If we all listened to the voice of fearful leaders, all-knowing professionals or academic doubters we’d likely discover nothing but the pain of a missed opportunity. Let go of your own fear and discover patient observation. Let your ego discover silence.